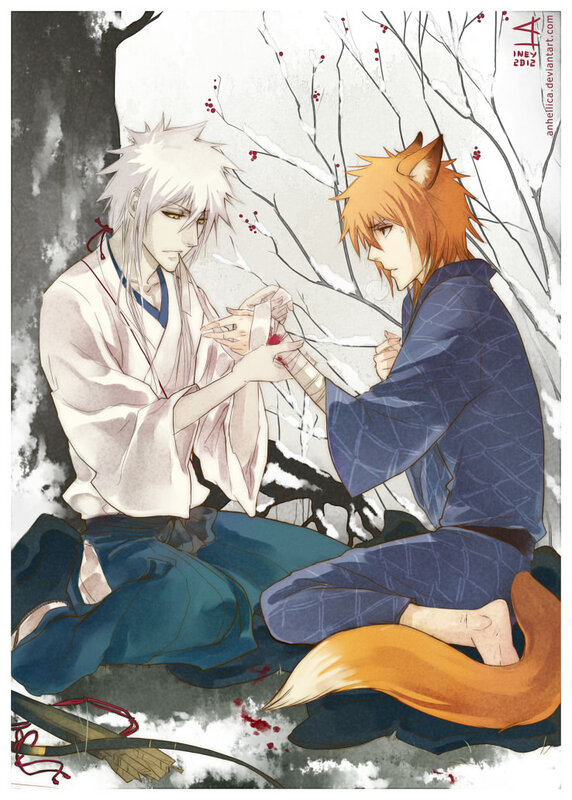 "A Hunter and Kitsune". Sooooo awesome looks like im the hunter ^o^. HD Wallpaper and background images in the DarkCruz360 club tagged: anime bleach darkcruz360 cruz hichigo hollow ichigo. Well you look damn fine here- that is all I can say! [well I COULD say more but I SHOULD NOT say more, lol] I like the traditional Japanese feel [you know I like that] ~AND~ I am starting to sorta FREAK OUT on a simularity I JUST now drew the connection & realised for some damn reason!! OH! O.O oh my God! total freak-out!